If you want to cooperate/participate in one of the activities: Please contact the secreatriat or the responsible person. Our projects on landscape elements are open to all interested persons and organisations. One of EUCALAND's main aims is to collect information about the European Agricultural Landscapes (EAL). In order to fulfil this task in a feasible way, it was decided to chose ONE landscape type per year. A manual was developed which serves as guideline. There is one main responsible person for each landscape type. If you want to contribute, please contact the coordinator. We are pleas ed to announce the successful evaluation of the project FEAL: multifunctional Farming for the sustainability of European Agricultural Landscapes (EAL), Nº: 2016-1-SK01-KA202-022502. It has started since 1st December 2016 and the Kick-off meeting was held at the Technical University in Zvolen (Slovakia). The project is funded by the Erasmus+ grant, Key Action 2 (Cooperation for Innovation and the Exchange of Good Practices, Strategic Partnerships for vocational education and training), its duration is 30 months (31st May 2019) and totally approved budget is 374. 951 €. EUCALAND is one of the partner organisations as well as currently the following EUCALAND members are involved within the project: Alexandra Kruse, Johannes Dreer, Bénédicte Gaillard, Maurizia Sigura and Martina Slámová, who is also the contact person of the coordinating organisation – Technical University in Zvolen. 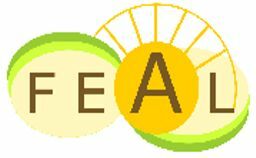 The FEAL project aims at providing young farmers, young rural entrepreneurs and family farmers a training system about conceptualisation and implementation of sustainable/multifunctional farming practices linking the diverse interests of farmers and rural society within European Agricultural Landscapes - highlighting positive external effects on EAL of their genuine production. O1. A report about the State of the Art of the relation between multifunctional/sustainable farming practices and European agricultural landscapes. O2. Case Studies showing best practices of multifunctional/sustainable farming over European countries in different landscape types and socio-economic situation. O3. Complementary Open educational resources (OER) (interactive e-atlas of EAL + training modules). O4. A training system gathering the previous output in a digital format compatible with OER repositories and e-learning platforms.The training system will be based on the OER methodology thus guaranteeing a totally free access to a wide audience and especially to the project primary target group: young farmers, young rural entrepreneurs and family farmers. Due to the flexibility and the availability free of charges of the training materials even trainees in structural disadvantaged areas or who cannot leave their farms will have barrier-free access to them. The training materials will be edited in English and then translated into the partners languages. The main objective of the Action is to develop a better understanding of how European landscape protection/management and renewable energy deployment can be reconciled to contribute socio-environmentally to the sustainable transformation of energy systems. 2007-2009: Eucaland-Project, funded within the culture2007-2013 program of the European Commission. The project was lead by the University of Cambridge, Department of Geography.